Sleep tight; don’t let the bed bugs bite. While you likely aren’t as terrified by this statement as you were when you were a child, bed bugs are should still be concerning to you. As experts at bed bug prevention in Seattle, Northwest K9 Bed Bug Detectives thought it would be beneficial to our readers to explore a few surprising facts and common myths surrounding those pesky bugs. Bed bugs are present in all 50 states. One in five Americans have either battled their own bed bug infestation or know someone who has. Bed bugs can easily live up to ten months without a meal. Bed bugs are three times more likely to be found in urban areas and homes compared to rural ones. Bed bugs can travel up to 100 feet in just one night. If you have bed bugs, most of them live within eight feet of where you sleep. Just one bed bug can lay up to 500 eggs in its lifetime. Bed bugs can repopulate and re-infest a room in just three to four months without proper prevention and extermination. Myth: Bed bugs only live in dirty homes. The truth? They can be found in all types of homes, both clean and dirty. Bed bugs don’t care! Myth: You can’t see bed bugs with the naked eye. The truth? Younger bed bugs are the size of poppy seeds, and adult bed bugs are the size of apple seeds. Myth: Bed bugs are only in and around beds. The truth? We’ve found bed bugs in couches, chairs, and basically anywhere people lounge. Were you surprised by any of these bed bug myths or facts? 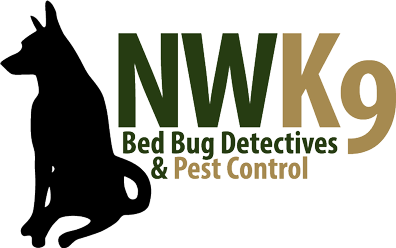 Are you interested in investing in bed bug prevention in Seattle? Call us today to get started.